is ek nou om te wees? en om te glo? Wopko Jensma’s myth-prone biography is scant. He was born in 1939 in the Karoo town of Middelburg in the Eastern Cape. A poet, graphic artist, abstract painter, printmaker, editor, translator and vernacular conceptualist, his art and poetry have acquired cult status, both in South Africa and abroad. He was a man immersed in the sprit of his time. Many aspects of his life and certainly his death are shrouded in mystery and conjecture. In 1993, he walked out of the Salvation Army Men’s Home in in downtown Johannesburg and mysteriously disappeared. He was never seen again. 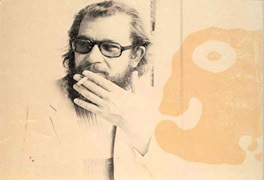 Before his disappearance in 1993, he published three highly acclaimed collections of poetry and one lesser known one: Sing for our Execution (1973), Where White is the colour/Where Black is the number (1974), (subsequently banned by the apartheid government) and I Must Show you my Clippings (1977) all published by Ravan Press in Johannesburg. His last and lesser known collection is, Blood and more blood. Although the collections bring his poems together, they also act as a portfolio for his art. Collages of the visual and the verbal can be seen in each publication. What is known of Jensma’s history is as sparse and fragmented as his poetry and art. He was born of a Dutch father and Afrikaans mother. He began his tertiary education at the University of Potchefstroom but his studies were interrupted by a motorcycling accident and he was never able to graduate. Between 1961 to 1964, he enrolled for a Bachelor’s Degree in Fine Arts at the University of Pretoria, majoring in sculpture. During this time he also did part time editing and translating work for Gerwe Magazine and the Afrikaanse Boekhandel Beperk respectively. He was known for his extensive travelling in countries bordering South Africa such as Swaziland, Botswana and Mozambique. It was while travelling in Africa in 1967 that he met and then married Lydia Thabede, with whom he had three children. In 1969, he taught art at Swaneng Hill School in Botswana, aspiring to open his own art school. Because of his interracial marriage, he was unable to return to South Africa as the Prohibition of Mixed Marriages Act was still in force. However, relations with his wife deteriorated and in 1969, he eventually returned to South Africa leaving his family behind. He divorced in 1976. On his return to South Africa, Jensma seemed unable to situate himself in one place, moving cities and towns frequently. It was now that he began to produce a torrent of poems, linocuts and other art works. Many of his prints feature strangely proportioned human and animal figures. His work is associated with the familiar black and white but is also interspersed with many bright and unusual colours and colour combinations. It is said that in 1968, he knocked on the door of Walter Battiss for a recommendation. His poetry began to appear, together with his graphic work, in a number of South African magazines such as Wurm, Ophir, The Purple Renoster and Izwe. 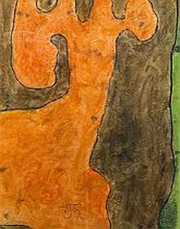 By 1973, 24 different exhibitions of his art works (sculpture, woodcuts, linocuts, silkscreens and paintings) had appeared, mostly in Johannesburg and Pretoria and by 1977, four collections of poetry. He exhibited his art in New York and Oxford. 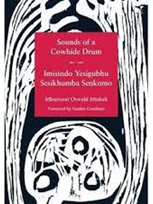 It was at this time that he began designing book covers, arguably the most famous of which was the cover for Oswald Mtshali’s Sounds of a Cowhide Drum. Gardiner recalls: “Do you have a Wopko Jensma cover?”, became the opening line at many literary parties of the time. As an aside, Jensma designed the cover of Contrast 26 of 1971! Jensma was a fervent critic of the South African apartheid government. His poetry spoke of an experience far removed from those of his fellow white Afrikaners and for this reason, much of his work aroused animosity. He was marginalised by much of the literary establishment. 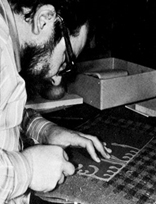 His work as a poet began to appear, most notably in Ophir, a pamphlet edited by Peter Horn. In 1971, 10 of these poems were collected and published as a supplement called Sing for Our Execution. This was elaborated into his first collection of the same name, the 40 or so poems interwoven with a dozen black and white graphics interleaved on art paper and published by Ravan Press in 1973. 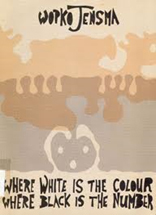 His distaste of apartheid laws and his critical assessment of what it is to be White and Black in South Africa, is uncovered in his second collection of 1974, Where White is the colour/Where Black is the number. The publication of this volume was said to have been an act of daring on the part of Ravan Press, who were subjected to a firebombing at Dakota House and the banning of the publisher Peter Randall. The book itself was banned by the apartheid government. 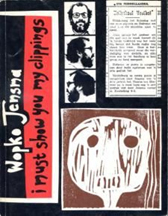 Michael Chapman writes that Jensma’s poetry captured the “jazzy slum argot of those amorphous “grey” areas of South African life, in District Six, Doornfontein, Fordsburg and Grey Street, where poor white, Indian, Coloured and African still rub shoulders despite the rigidity of the Group Areas Act.” His poetry reflected concerns for the psychological, social and economic victims of big-city life. 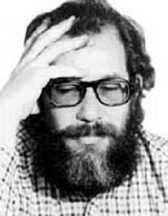 In 1983, Jensma was awarded The English Academy of Southern Africa prize for his contribution to English writing in South Africa. J. M. Coetzee and Mongane Serote were the other recipients. It appears that Jensma was, during this time, able to travel abroad to Swaziland, Malawi and even to Holland where his art works were being evaluated and reproduced. His striking use of multiple languages is one of the identifiable tropes that characterises his poetry. He moves between English and Afrikaans and various urban-black dialects, with equal assurance and ease. Knowledge of Villon’s French as well as a little German and Cape dialect is assumed. And this together with the fact that his names are difficult to categorise, makes his work challenging and demands much of his reader. His work is always socially relevant. His themes often include violence and imprisonment, with compelling images of gallows, cracking bones, shackles and cells. However, these are often juxtaposed with themes of the mind and heart. He views society as assaulted by social pressures for convention and conformity, the mindless routines of suburban and industrial living, psychological categorizing and consumerism. 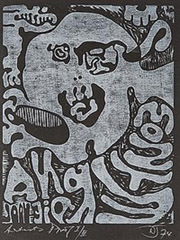 He utilises techniques of fragmentation and dislocation, embodied in his use of disparate images, syntax, spelling and typography, as well as anti-climax that bring the disparate elements into a kind of coherence. Many of his poems take on various shapes such as “Lopsided circle”, which is in the shape of a giant C and “Sing a soul of sixpence” in which the title and the poem form a large number 5. The poems are deliberately constructed in a defiance of disciplined reason and logic. His technique acts as a kind of protest against what he sees as the limiting and dominating of rigid reason in human affairs. They also reflect a sickness he discerned in society and are an exploration of the philosophical and political reasons for this sickness. Jensma’s art often starts with the verbal poem and morphs into visual artwork. His evocative and vivid poems often have art and other artists as inter-textual references. He invokes artists such as Van Gogh, Piet Mondirain, Dumile Feni, Jean Arp, Marcel Duchamp, Theo van Doesburg – who shaped and influenced his thinking and practice. The severed ear of Van Gogh is a recurring image in the poems, apparently suggestive of the power and truth of genuine suffering. He contrasts this suffering with the artistic image of Van Gogh’s paintings. In his heady poem “Black Bottom Stomp and Binsey Poplars” he calls up a surreal mix of jazz and blues with Victorian poet Gerard Manley Hopkins, evidencing the fragility of loved things and his head “polluted with grief”. As Marie Dyer writes in her 1977 review of I Must Show You My Clippings, “Jensma’s struggles, as evidenced in the poems, are exhausting for the reader – like watching a man straining to pick up invisible weights – but they are impressive and disturbing and demand to be if not understood seriously attended to. Chapman, M. 1984. South African English Poetry: A Modern Perspective. Cape Town: AD Donker Publishers (Pty) Ltd. 255-259. Dyer, M. 1977. Review: I Must Show You My Clippings. Available at: www.sahistory.org.za/sites/default/files/DC/rejan78.7.pdf. Accessed 10 May 2017. Gardiner, M. 2013. Possessing tools/professing artistry. Catalogue accompanying the exhibition Possessing tools/professing artistry. Gallery AOP, Johannesburg. McGregor, T. 2011. “I write you from afar” – Wopko Jensma enigmatic poet of Africa. www.hubpages.com/literature/I-write-you-from-afar-Wopko-Jensma-enigmatice-poet-of-africa. Accessed 10 May 2107. South African History Online. 2016. Art by Wopko Jensma. Available at: www.sahistory.org.za/archive/art-jensma-wopko. Accessed 10 May 2017.
flesh mind feeling smell sight etc . . .